This is the first in a series of posts leading up to the launch of Not Dark Yet in November. The posts will showcase a few images that inspired or are connected with the book. Without spoilers, of course. 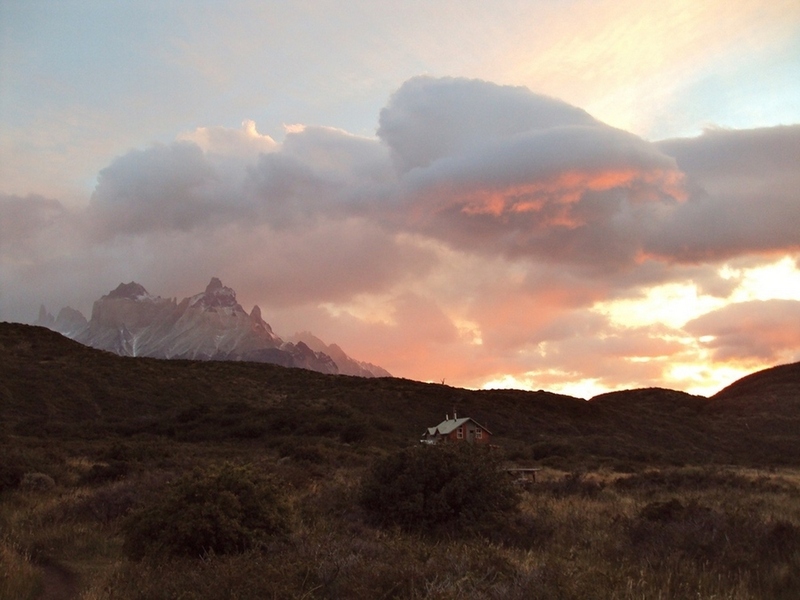 The image shows a cabin in the shadow of the Torres Del Paine in Chile, one of the most beautiful peaks in the world. The Torres are not mentioned in Not Dark Yet, but a cabin is prominent in the novel. In Norway cabins, whether in the mountains or at the coast, have traditionally been a little basic and filled with old furniture. Even today some cabins do not have running water or electricity. But those are probably in the minority. Now most cabins have all amenities and are more like small houses. I will admit that I would have loved to have a cabin somewhere. Preferably in the Arctic.